We made this Reaper Clock as ominous as we could: each clock has an individually aged clock face with glossy red letters warning you that YOUR TIME WILL COME. 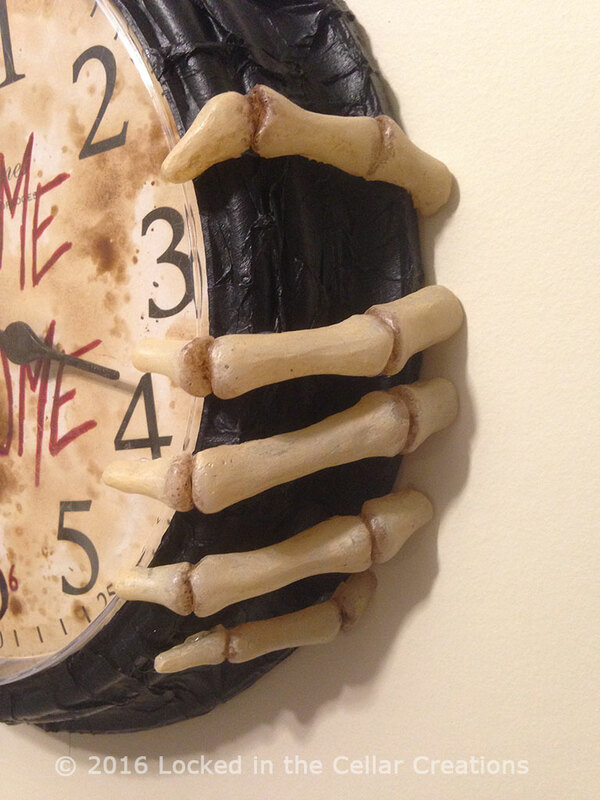 The clock is held by creepy skeleton hands. Lastly, we outfit each clock with a smooth, silent clock motor, so even though the clock looks ominous, it does not sound ominous!! 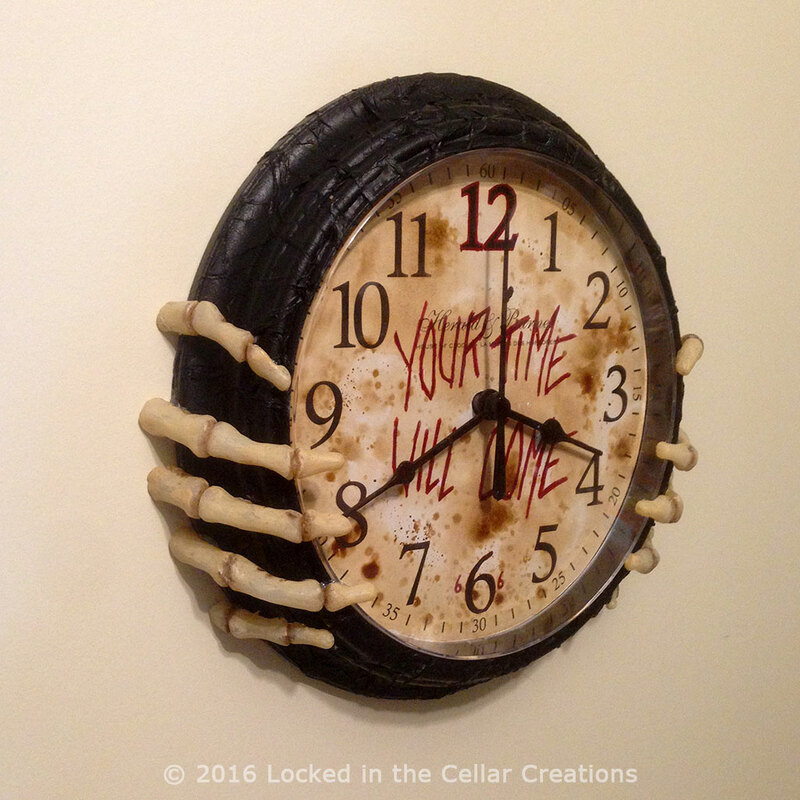 Check out our other Cursed Clocks. Absolutely love my clock! The seller was the absolute best! Quick to respond to my emails and extremely helpful. If you want excellent customer service, an easy transaction and a seller you can trust, this is the place to order. 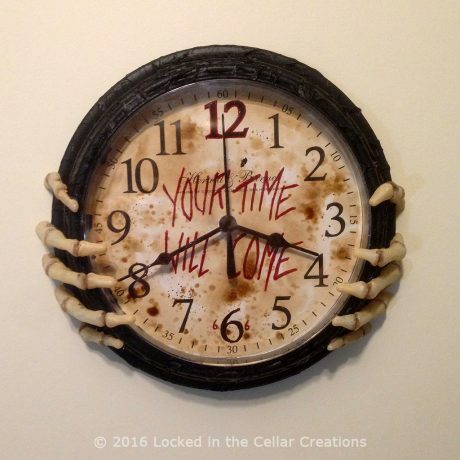 Thank you, thank you Locked in the Cellar!